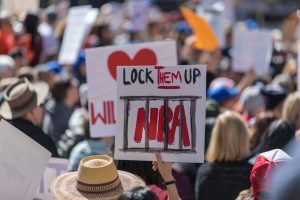 A complaint filed with the Federal Election Commission accuses the National Rifle Association (NRA) of using a shell company to illegally coordinate with Republican Senate campaigns. The complaint was filed by the Campaign Legal Center, a nonpartisan 501(c)(3) dedicated to enforcing U.S. campaign finance laws. Citing a Politico report published last month, the Campaign Legal Center claims that the GOP consulting firm OnMessage created a shell corporation called Starboard. The alleged purpose of Starboard was to help the NRA sidestep campaign finance laws. If proven to be true, then that would mean that the NRA made millions of illegal in-kind contributions. Civics Lesson: What is a Super PAC? 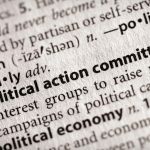 PAC stands for “political action committee.” While PACs have been around since 1944, the term “super PAC” was introduced in 2010 following the U.S. Court of Appeals decision in Speechnow v. FEC. These PACs do not make any direct contributions to candidates or political parties. Instead, they advocate for a particular candidate by spending on money marketing campaigns (most notably ads). While regular PACs are limited in the contributions they can make, super PACs do not have any financial restrictions. According to the Campaign Legal Center, the recipients of these political contributions include the Thom Tillis Committee, Cotton for Senate, Cory Gardner for Senate, and/or Ron Johnson for Senate Inc. The complaint alleges that these Senate candidates were working directly with OnMessage.